Michael Anastassiades is deep in conversation at his North London studio, a space he moved into last August after spending nearly a decade operating out of his own house, which also moonlighted as his brand’s headquarters. He is finishing a Skype call when I walk in. I’m greeted by his assistants and a black Dachshund named Sugi. The building, which dates back to 1902, became an auto repair garage in 1962. 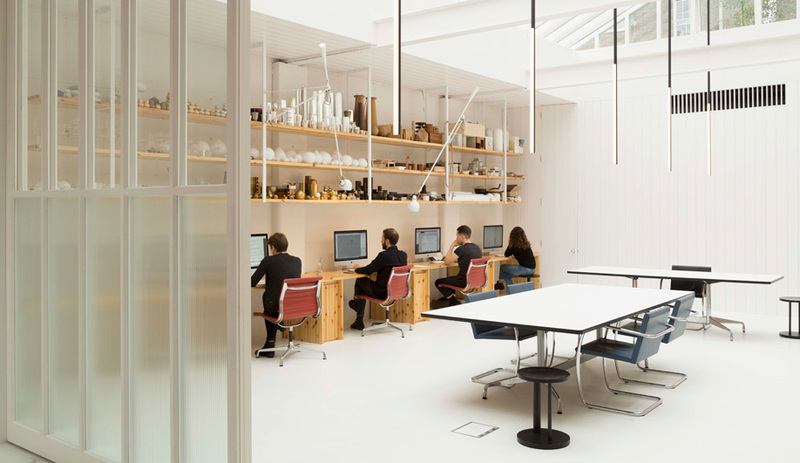 Anastassiades acquired it three years ago, turning it into an open-plan atelier, where the still-raw front area is used as a testing ground for products in development, including one of his large-scale mobile lighting fixtures. Further in, the space gives way to a skylit ceiling that floods the interior with natural light. 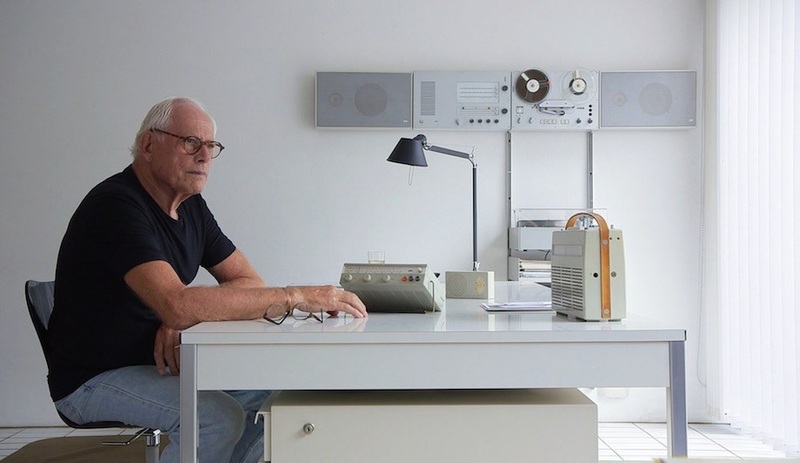 There aren’t many finished products around; his house is still the showroom, while this space is for a staff of nine – 10 if you include Michael – who manage daily business operations and explore new ideas. 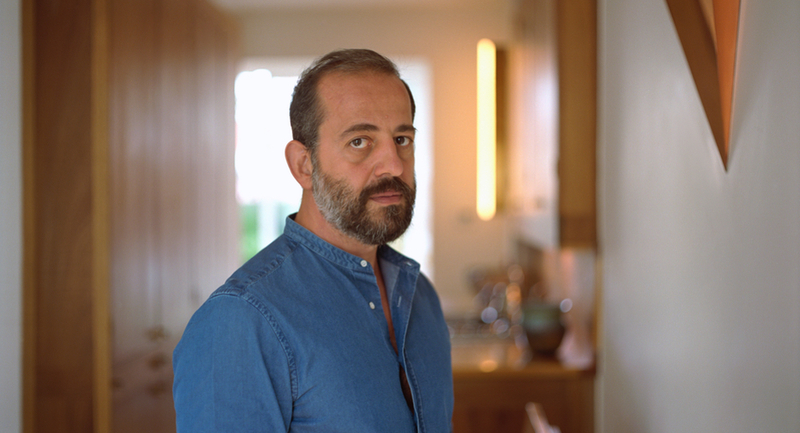 The Cyprus-born designer now operates out of a former garage in North London, where a staff of nine helps him manage daily operations and explore new ideas. Anastassiades’ aesthetic has often been described as reductive, geometric and serene. It works on the idea of peeling away the extraneous to reveal a streamlined poeticism that has been integral to the designer’s brand since its beginnings a decade ago. 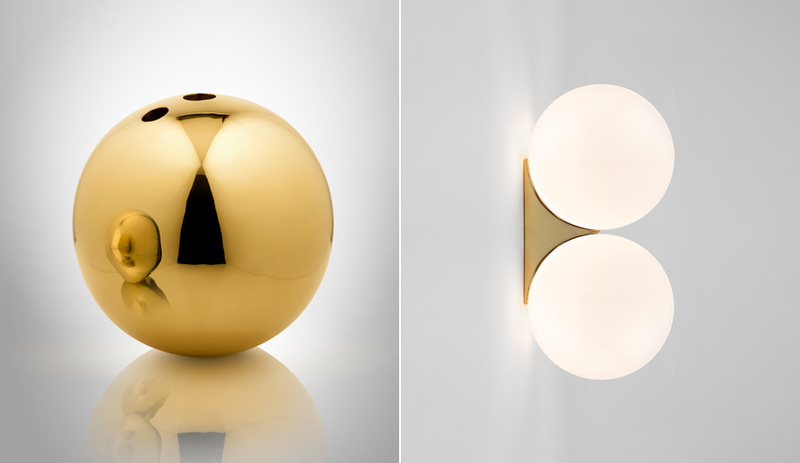 There’s a compelling mixture of modernity and balance in all of the pieces, most of which are exquisite lighting fixtures, though the minimalist aesthetic also extends to other objects – these include the bronze Ball vase (2006), which is shaped like a bowling ball, and the Floating Forest vase from 2015, which is composed of a thin brass cone that rests on the rim of a glass in order to prop up a rooting seed. Regardless of scale or medium, Anastassiades maintains consistency and clarity by juxtaposing sensuality with strictness in the silhouette. His pendant lamps’ sparse lines are softened with that ever-present spherical motif. Left: Made of brass with a glass tube at its centre, Ball vase is one of Anastassiades’ earlier pieces. Spheres have been a constant in his work ever since. Right: Simply named Double Sconce 150, this light consists of two mouth-blown opaline glass orbs mounted to a brass fixture. Left: For Nilufar Gallery in Milan, Anastassiades crafted pendants that could easily be viewed as art. But the designer is indifferent to how his work gets labelled. “I produce objects,” he says. Right: Arrangements for Flos takes advantage of how LED technology allows light to assume virtually any shape. In fact, despite a remarkable client list, the Cyprus-born designer seems almost aloof to the usual pressures of the design scene, even though he is a regular fixture at Salone del Mobile and ICFF in New York. He doesn’t spend much time hobnobbing at industry parties, and his regal reserve is sometimes mistaken for shyness. In person, he expresses his passion for his craft with a laser focus that is almost disarming. 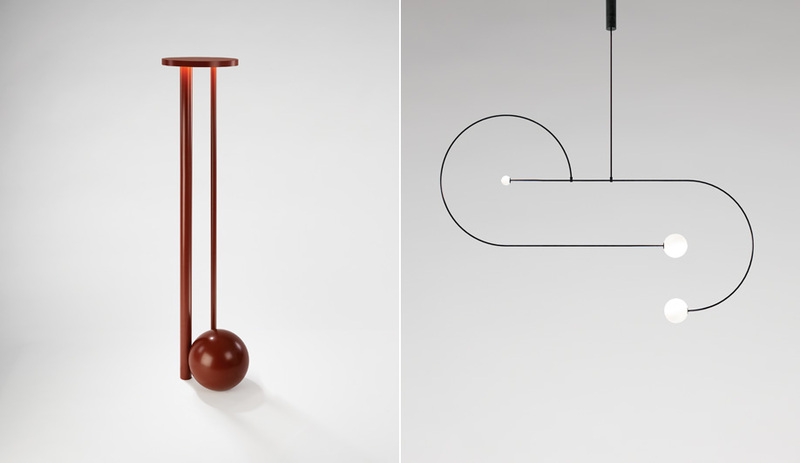 Left: Made of powder-coated aluminum, this two-legged LED lamp rests on the floor and stands 1.25 metres tall. 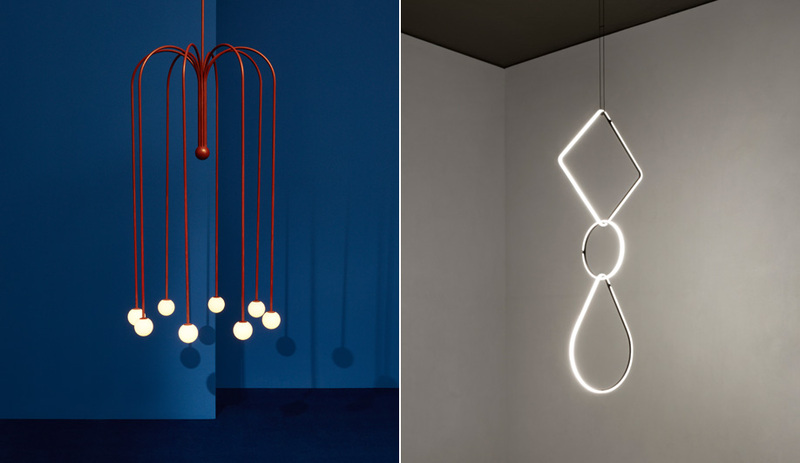 Right: Mobile Chandelier 13 is a balancing act where three luminaires are counterweighted on rods that stretch almost two metres in width. While he no longer teaches, yoga and meditation are still a big part of his life, and in all of his work there is a refinement that evokes a sense of tranquility. “I choose materials for their aging ability – how beautiful they become with time,” he explains. Arrangements for Flos takes advantage of how LED technology allows light to assume virtually any shape. 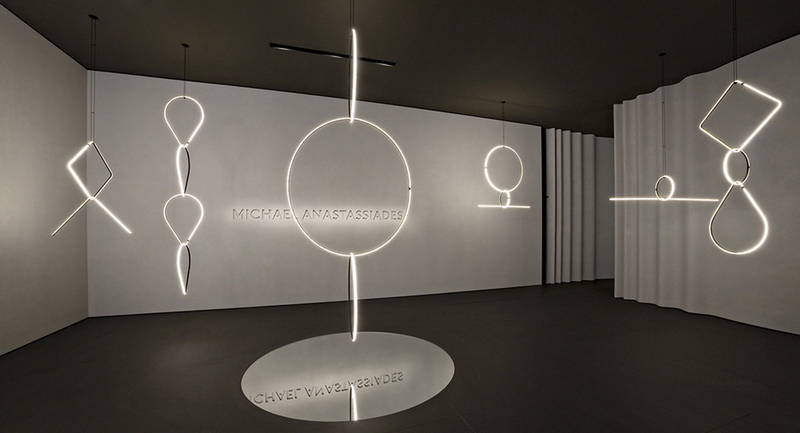 While Anastassiades still runs his own brand under his own name as an elevated platform to create lighting, furniture and tabletop objects, it’s his ongoing partnership with Flos that’s given him the freedom to execute more ambitious projects. 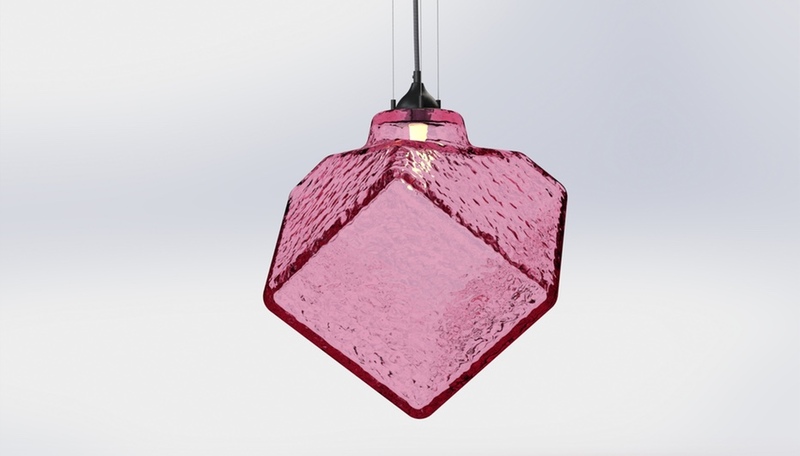 Among these is Arrangements, a pendant series he debuted at Salone del Mobile in 2017. 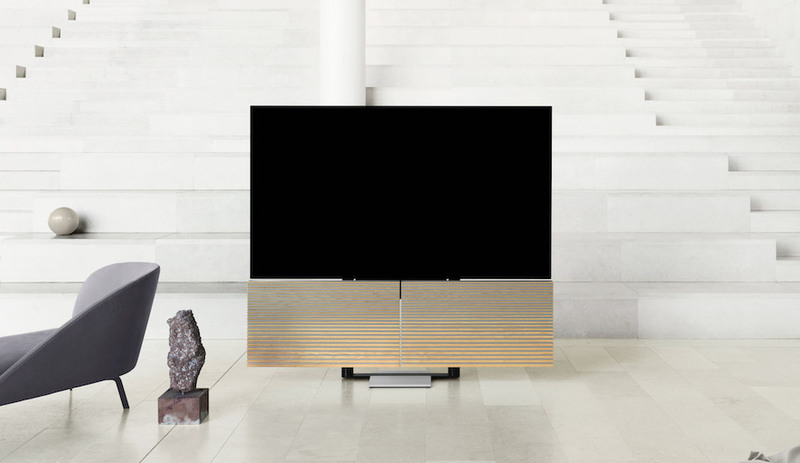 In it, thin LED strips are linked and balanced in various configurations reminiscent of jewellery. Gandini says he was initially introduced to Anastassiades’ work in 2011 by Murray Moss of the iconic Moss design gallery. The Soho store was, in its day, one of the most important purveyors of contemporary design, and Moss was quick to support new talent before anyone else. Gandini was impressed with the work but couldn’t remember the designer’s name. He recounted the story to Patricia Urquiola, who insisted it was Anastassiades and that they should meet up. The two met briefly in Milan and again a month later in the back of a London cab, where Gandini offered Anastassiades a partnership.